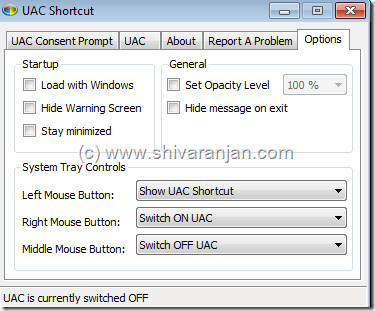 UAC Shortcut is a free software that gives various options to control the Windows Vista UAC prompt. Many people who run Windows Vista get annoyed by the User Account Control Prompt (UAC) that keeps popping every now and then so this tool is for them. 1. Disable the Windows Vista’s UAC consent prompt so that it will not prompt to grant permission. 2. 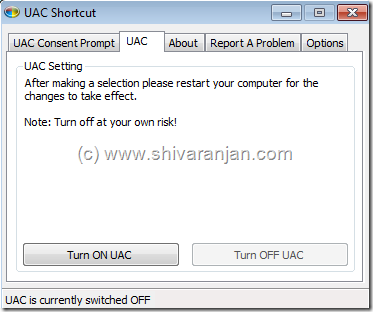 Keep the UAC prompt switched OFF or ON for a specified period of time, option is also available to keep keep the UAC prompt enabled or disabled at a particular time. 3. Ability to turn ON or OFF the UAC functionality. 4. Assign mouse buttons as shortcut keys to enable or disable UAC. thanks for providing final solution. your all information about windows settings is much valuable for me. thanks man keep it up. thanks admin for best solution with screen shots…. Nice to read your article all the time. Great info thanks. Really learn quite a few things and appreciate the hard work and effort. Скачай приложение «POP! Казино автоматы слоты онлайн.